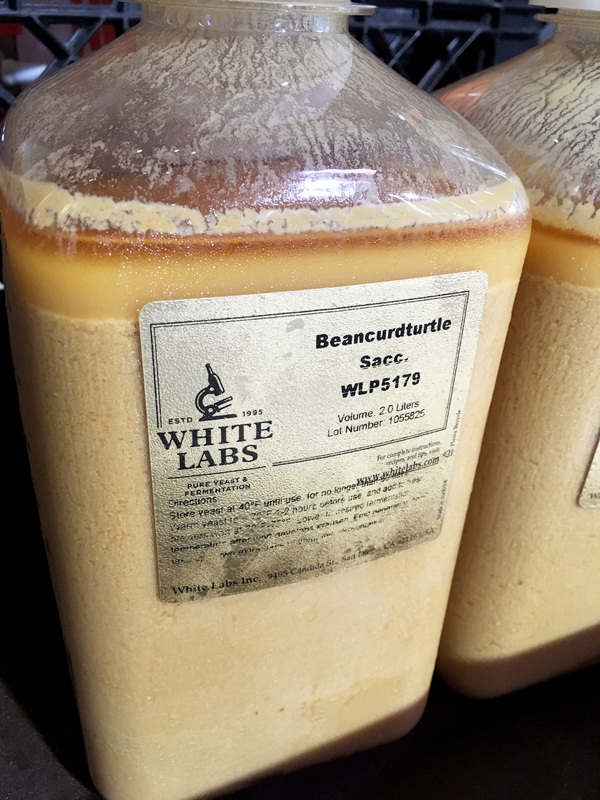 Four days in and the Beancurdturtle Sacc (wild yeast strain) was already at 85% apparent attenuation. I'll be using some brewer jargon for this post because the batch of Ghost in the Kettle brewed at Barley Forge Brewing Co. is being fermented with a wild yeast, and brewers geek out on that stuff. 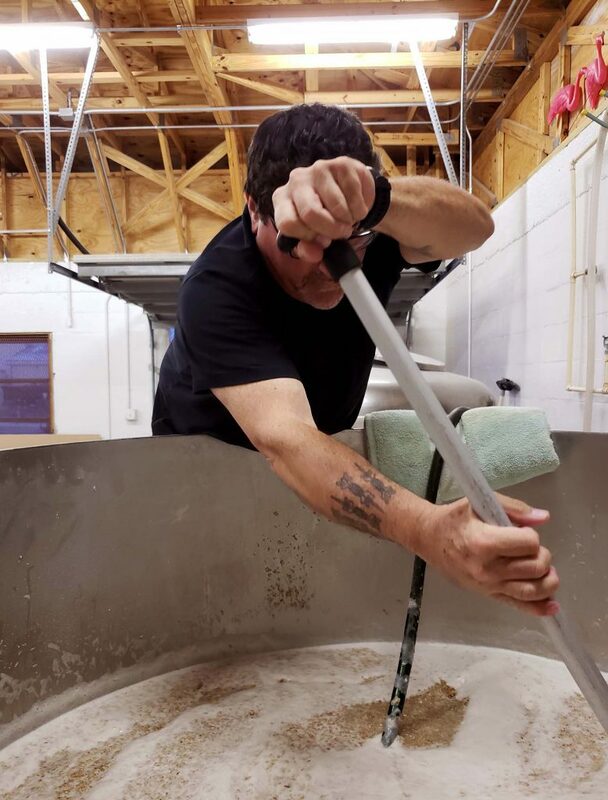 Kevin Buckley put the beer in the fermenter on May 17th. 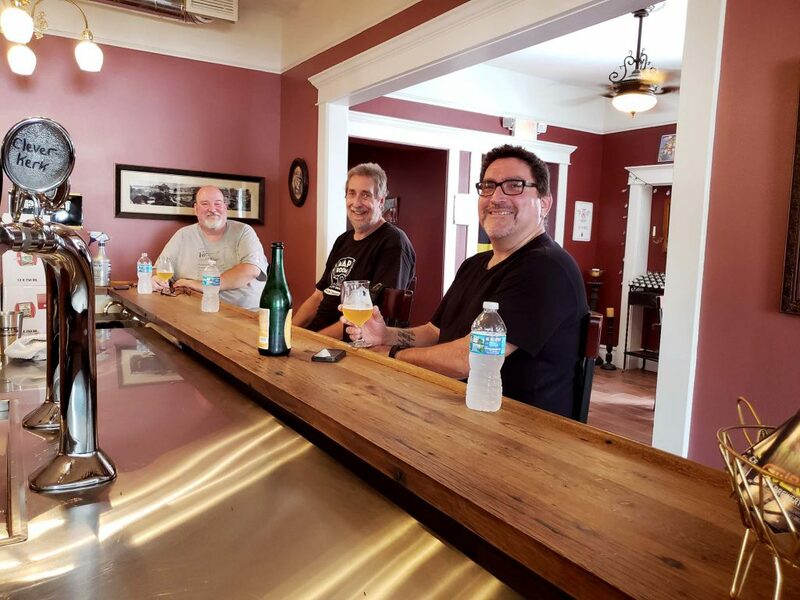 I provided the base recipe to all three breweries – Barley Forge, Fantôme, and Saint Somewhere – and got out of the way to let them do their thing. I can't recall if Buckley will be dry hopping or not. I can say that intuition, experience, maybe both, led him to ferment it with very much a classic Saison schedule, and the yeast seem to love it. The yeast is a wild strain from a mixed culture that I propagated from a white patch on the skin of a honey tangerine in the brewery yard. White Labs isolated the predominant organism from the mixed culture and gene sequenced it. It is identified as a wild Saccharomyces cerevisiae strain. They've banked it as Beancurdturtle Sacc WLP5179. 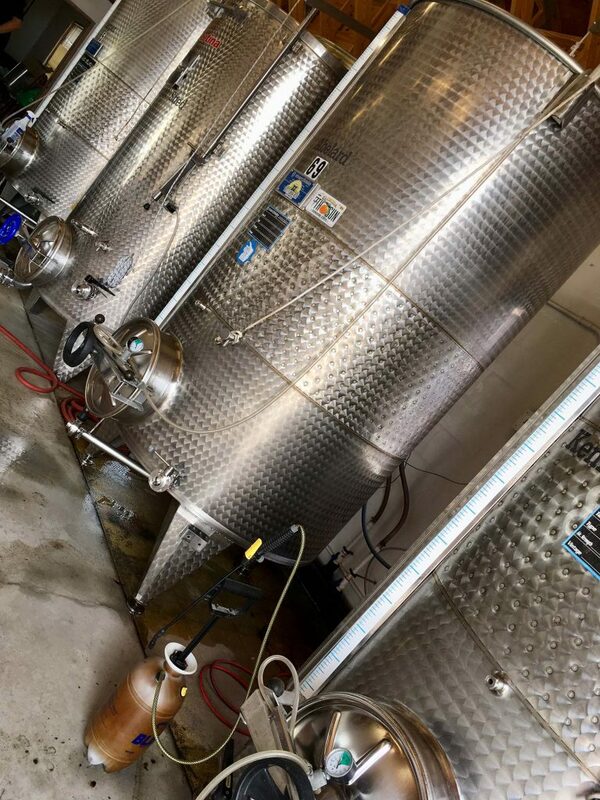 In forced fermentation at White Labs they were getting attenuation at 82% minimum – meaning dry finish. 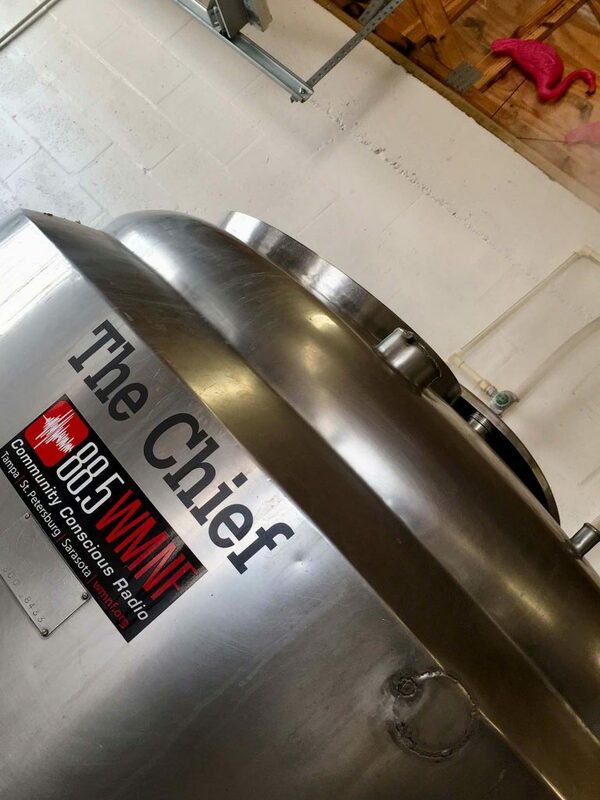 How is this batch of Ghost in the Kettle brewed at Barley Forge a Farmhouse Ale? It's fermented with a wild yeast harvested from a Tangerine in the Beancurdturtle Brewing yard. I gave Buckley all the information from White Labs and my experience brewing with the mixed culture, and the isolated Sacc C. strain. He decided to go with an aggressive Saison fermentation schedule – and the yeast bloomed and fermented like crazy. 85% attenuation by the end of day 4 - that's impressive. On day 4 I asked him if the esters (aroma compounds) were like Orange Tang (observed on previous batches). He said, "I was going to say citrus/peach with some pepper. Tang might actually be closer". He also described the phenols as "Spicy, clove and a very slight barnyard. ", and commented "Flavor still has a perceived sweetness given the low finishing gravity and it is still dry." 13 days in the fermenter, and it's at 96.2% attenuation. 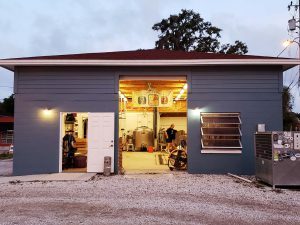 That's all good news for a Farmhouse Ale. But Wait! There's More! 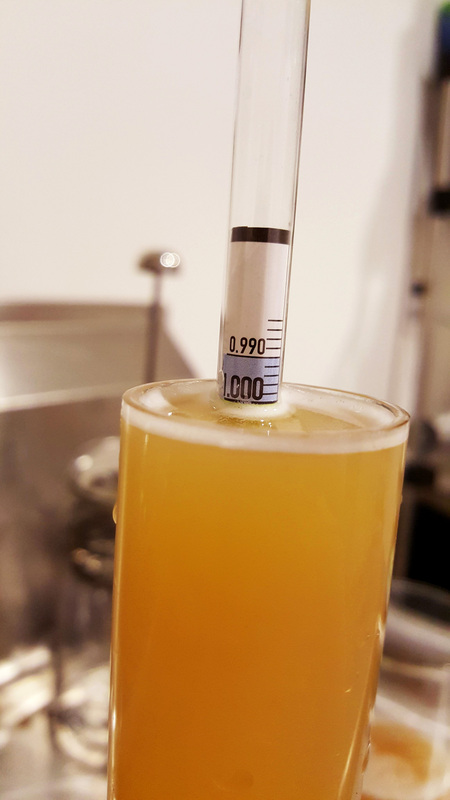 Nine days later I checked in, and the gravity was down to 1.002 which indicates a 96% attenuation. Again – impressive. And it was still producing some CO2, creeping along. 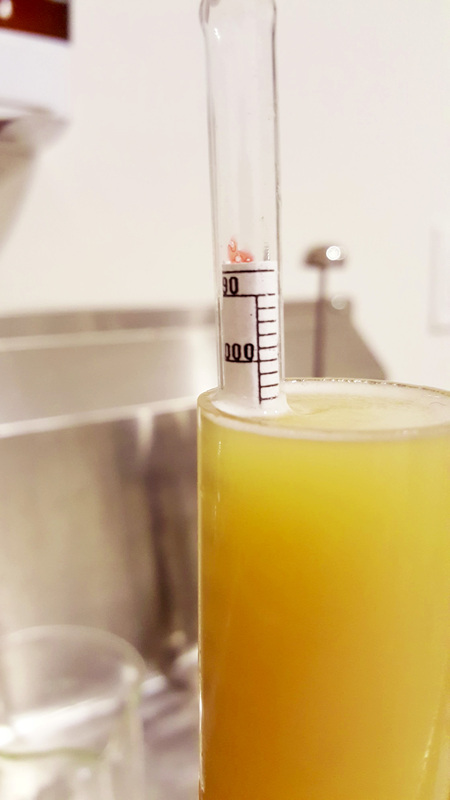 If this attenuates to 1.000 (same weight as water) and retains a citrus, spicy, slight funk/dank you could say it's nearly a perfect Farmhouse/Saison strain – and as clean as it finishes, maybe even awesome for dry Pale Ales and IPAs. Ok, so enough beer tech geekness. Where are we at with this beer for the beer drinker? Well, Buckley is leaving it to rest and condition. 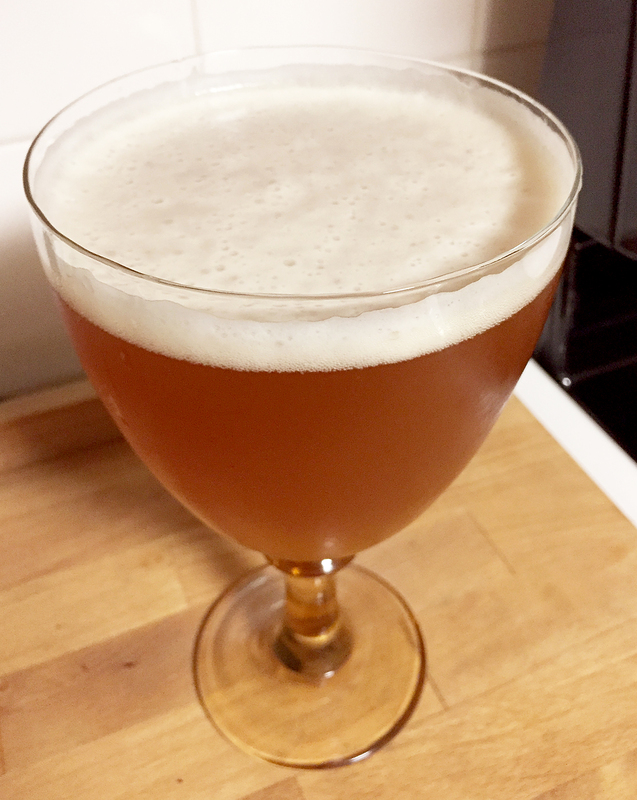 From my experience with this yeast and a beer I designed with similar herbs and spices – it should be a really great, citrusy, slightly funky, beer with a touch of sweetness and slipperiness, yet a dry finish. Buckley has done a great job starting with a recipe and wild yeast I provided, and tweaking it to his preference and process. I have a lot of confidence that he's shepherded this batch to a nice conclusion. Valencia Saison. A Saison brewed in Spain designed by Beancurdturtle Brewing. Ancestor and inspiration for the herbal characters in Ghost in the Kettle. As brewers we start with a target – a concept and vision in our mind of the beer we want to create. The appearance, the aromas, the flavors, the mouthfeel, and the overall impression we want to create for the person enjoying it. 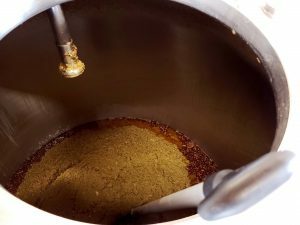 We combine grains, hops, yeast, process, and sometimes herbs and spices aiming at the target. 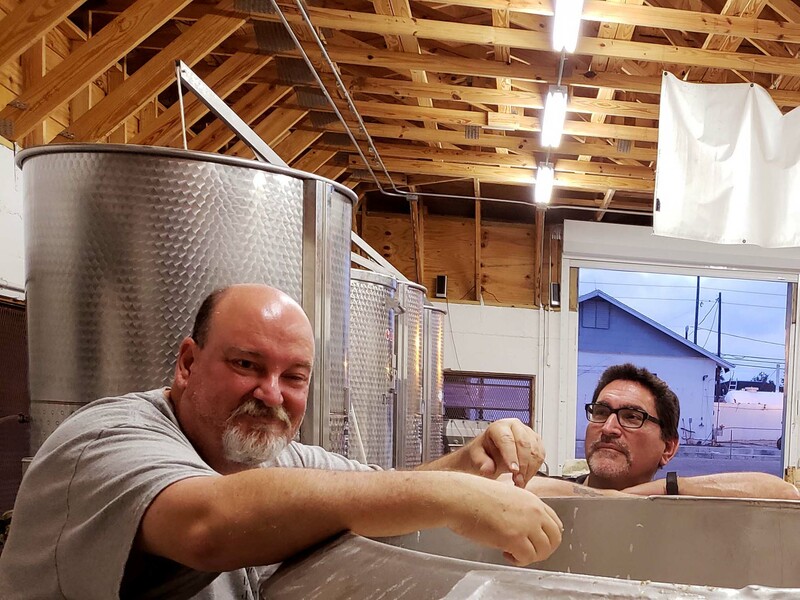 With enough experience, we sit down a few weeks after brew day and take a sip – and what was in our mind is in a glass in front of us. It's exciting and a bit magical. 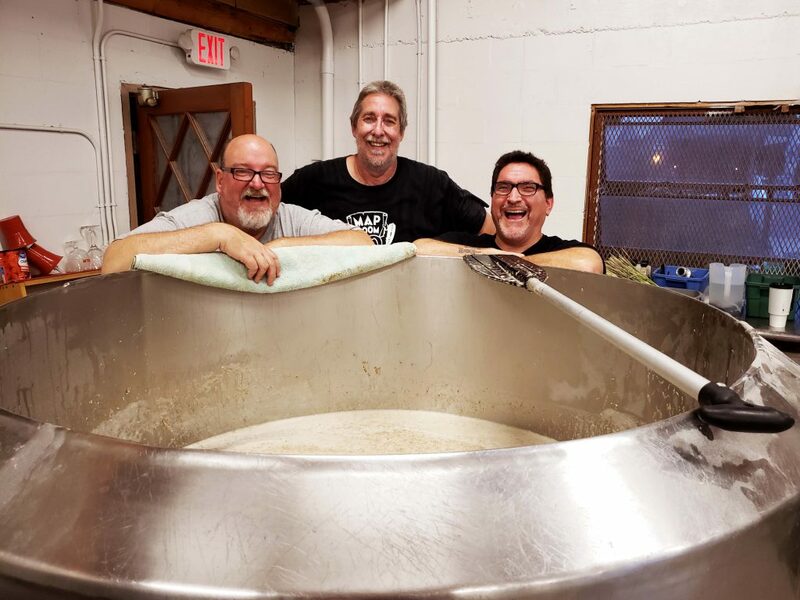 I'm thinking we'll have a bit of magic to share with Barley Forge's take on Ghost in the Kettle. That makes me happy. Still chugging along day 4 after 85% attenuation.